Australia: The Perfect Study Destination? The intended purpose of this course is to provide participants with a range of knowledge, skills and generic and specific competencies to support them in gaining employment for the provision of teaching and assessing English as a Second Language (*ESL). The aim is to educate the participants undertaking the Certificate IV in TESOL to a competent standard, whereby they are immediately employable in a context of English language teaching that utilises their skills and capabilities at a certificate IV level of competency. Some potential employment opportunities involving the delivery of accredited English Courses in Australia may only be possible where the graduate holds a Vocational Education teaching qualification such as the Certificate IV in Training and Assessment or equivalent. To achieve the qualification Certificate IV in TESOL (Teaching English tonSpeakers of Other Languages) the learner must complete 10 units – 9 Core and 1 elective. The volume of learning identifies the notional duration of all activities required for the achievement of learning outcomes. The nominal (supervised) hours represent the anticipated hours of structured and supervised learning and assessment required to sufficiently address the content of each unit. These include hours allocated for learning and assessment activities that are delivered face to face, online and/or via structured distance education. The unsupervised hours represent activities that contribute to achieving the course outcomes that are not supervised by an RTO trainer or assessor. personal study associated with the chosen elective. The time required to undertake these activities will vary greatly between students based on their experience. For example, those who completed their schooling in English speaking countries may be able to draw on their educational experience to quickly grasp concepts around teaching the English language; however, learners from non-English speaking backgrounds may need to do additional self-study. Note: minimum entry requirements apply to this course. For further information, please see section Entry Requirements. On average, the unsupervised activities listed above may equate to between 200 to 300 hours. Assessment in this course is designed to ensure that the participant demonstrates competency in all the stated units of competency. Consideration is to be given to a holistic and integrated approach where possible to provide the participant with the opportunity to demonstrate competence in their ability to carry out the functions of an English as a Second Language (ESL) Teacher. All assessment will be conducted in accordance with the stated requirements of the Standards for Registered Training Organisations (RTOs) or its successors and in effect at the time of assessment. Participants will clearly understand the requirements and conditions of the assessment procedure. Assessment techniques will vary and will draw from direct, indirect and supplementary sources of evidence. Workplace assessment and/or Recognition of Prior Learning (RPL) is strongly recommended where the trainee is already functioning as an ESL Teacher. The main focus of this course is on the learning outcomes rather than how, when or where the learning occurred. Some participants may already be competent in one or more of the competencies and will, therefore, be given the opportunity to apply for Recognition of Prior Learning (RPL) or credit transfer – more details in RPL/IE section of strategy. There are no explicit limitations of the course in terms of the environment in which learning and assessment of the knowledge-based aspects of this Course can occur. Achievement of the required skill-based performance outcomes of some units within this Course must be demonstrated in the actual teaching of English as a Second Language. Refer to each individual unit to see where this applies. and actual practice teaching experience, during which TESOL Trainees plan and deliver a minimum of 6 hours of ESL lessons. During Practice Teaching, all trainees will teach all of the macro skills (speaking, listening, reading and writing). This teaching will be conducted in a way that is applicable to the age, English level, and needs of the learners within the classroom setting. The demonstration of practical teaching of at least one spelling rule, a grammar point and a point of pronunciation may occur during placement or in a simulated environment. For example, ANIBT may choose to have its trainees teach a spelling rule, grammar point and/or pronunciation point in a simulated environment in order to give their trainees a smooth transition into practical placement. During the Practice Teaching experience, the trainees should apply knowledge gained through the theory component of the units, to their planning and delivery. Where students undertaking this course are not in relevant employment, it is strongly advised that a practical work placement arrangement will be considered as an option critical to success in this course. If ANIBT utilises practical work placement as part of their delivery strategy we must ensure that the practical work placement component complies with any relevant state legislation. All assessment must be undertaken by assessors who meet the requirements stated to apply under the Standards for Registered Training Organisations(RTOs) 2015. Assessment Requirements - All units will contain the listed assessment tools and the Individual Delivery and Assessment Strategies for each unit clearly detail the assessment requirements for each unit. Note: Where specially arranged ESL classes are arranged for the purpose of facilitating the training or assessment related to this Course, the classroom in which the training is to be conducted will be resourced with all the materials and equipment that would normally be found in real teaching environments and is to be designed to replicate the usual dynamics of an ESL teaching environment. It is expected that a minimum of 5 learners be present for the practical demonstration of ESL teaching skills. Non-native speakers of English may require an extended delivery format that provides more time for the understanding of terms and concepts associated with the skills and associate knowledge being developed through the delivery of the Course. For some cultures where there is a natural reticence to be involved in classroom activities (e.g. involvement in role plays). An extended program may enable the course to offer encouragement and motivation for participants to develop greater confidence in these skills which the Course encourages them to consider as potential teachers of English. Course participants who hold existing teaching qualifications, but not in the field of ESL may qualify for recognition of prior learning for some requirements of the Course, depending on their field of specialisation in teaching. In addition, it would be expected that a condensed delivery format may be successful as generic teaching skills gained from obtaining existing teaching qualifications and in existing teaching practice would make the acquisition of the TESOL teaching skills easier. the standard of English that a person would demonstrate if they achieved a pass level or higher at the completion of Australian senior secondary school (Year 12). For entry into the Certificate IV in TESOL (Teaching English to Speakers of Other Languages), a person should have an English proficiency notionally equivalent to a minimum IELTS score of 5.5. Providers of this Course may develop and use tests that would indicate equivalent English proficiency. In this case, the provider should have evidence that the test they have developed provides for the indicators of English proficiency to be demonstrated. A potential Course participant presenting with the minimum English proficiency equivalent an IELTS score of 5.5 may find the requirements of the course challenging because of the following aspects or demands of the Course: vocabulary demands; the management and understanding of idiom; the standard of pronunciation; correct use of stress and intonation; spontaneous, confident and competent use of English in the fulfilment of the practical teaching units of the course. However, the experience gained from past delivery of the Course to many non-native speakers of English indicates that a student with an English proficiency equivalent of IELTS 5.5 can complete the Course where a specially considered and planned pathway or format of delivery of the Course is determined and delivered. In many cases, the Course participant’s level of English proficiency increases as a result of the support provided during the delivery of the Course. In addition, non-native speakers of English almost always use the qualification gained as a means of demonstrating suitability for teaching English in the country of their origin. In this case, their native language is often used to complement the teaching of English and the combination of fluency in their native language and an English proficiency equivalent to IELTS 5.5 adequately equips them to teach English as a foreign language in numerous professional teaching contexts. The Diploma of TESOL becomes evidence of their teaching ability supported by the notion that they were able to complete a qualification delivered in the medium of English. Entrants should have reasonable level language, literacy and numeracy levels – sufficient to analyse resources, prepare written lesson plans and prepare learning materials/activities. Upon successful completion of this course, you will receive a nationally recognised qualification 10695NAT Certificate IV in TESOL issued by the Australian National Institute of Business and Technology Pty Ltd (ANIBT). Please contact ANIBT to discuss your specific study and qualification requirements and how we can tailor a program to suit your specific requirements. Recognition can promote accelerated training by recognising existing skills through a fast-tracked assessment process. Students are required to complete a form at enrolment stating if they fore fill any of the criteria listed above. If yes, the student will be required to supply documentation which will be authenticated, and they will then be interviewed by the Manager, Academic Delivery and Compliance with the relevant course co-ordinator to assess the student’s eligibility for Recognition. The student may be required to complete practical or theory assessments to gauge the amount of Recognition to be granted. Thus resulting in the acceleration of their progress through the qualification. Information about RPL and IE can be found in the Institute’s Policies and Procedures manual, which is available for students on the website and is set out in the Student Handbook. Please contact ANIBT directly on +61 3 9620 2922 to discuss your previous experiences and we will be able to guide you through the RPL process. 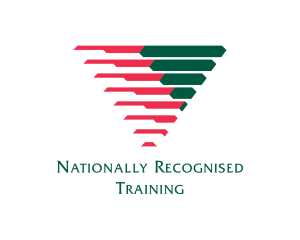 Under the principles of National Recognition students are granted an automatic credit for any unit that they successfully completed at any other Registered Training Organisation (RTO). Students are required to complete a form at enrolment stating if they have completed any units that meet the criteria above. ANIBT strives to ensure that all Students, regardless of racial, religious, cultural or language backgrounds enjoy full access to services they are entitled to. It is expected that all students will have access to their own personal computer and the internet. This is essential for regular research and also on-line. Achieve your true potential with an educational and training organisation that is ethical and supportive. We can help you break through the barriers of education and career, and help you on your way to Shape Your Future and become an outstanding human being.